Over 82 million people text regularly and over 10 billion text messages are sent each day! The popularity of texting continues to grow and Textapedia expands its marketing across the country. 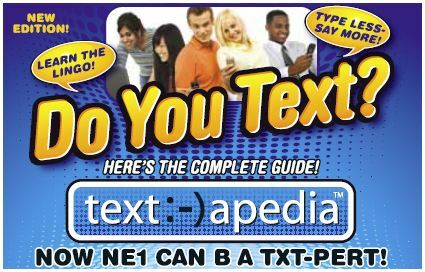 The Textapedia texting pocket guide is a perfect little gift for any occasion. 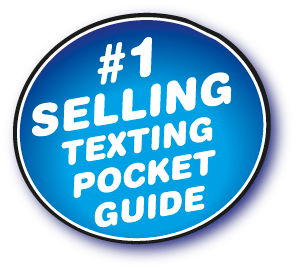 Retailers in Arizona have now seen why Textapedia is the number one (#1) selling texting pocket guide. Customers are telling family and friends about this great texting pocket guide. Textapedia texting pocket guide is a quick reference pocket guide has over 1,200 acronyms, Sports (MLB Baseball, NFL Football, NBA Basketball, NHL Hockey, MLS Soccer), Fantasy Players, business & banking, 10 languages to text “I LOVE YOU” (French, Spanish, Polish, Italian, German and Chinese to mention a few), Love & Fun, Spanish, Medical, Texting Etiquette, hundreds of Smileys and more. 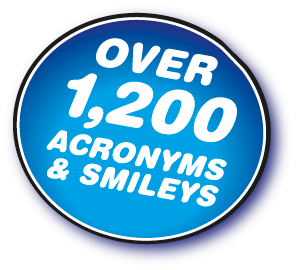 Top 50 most popular Texting Acronyms. Learn how to start a Twitter following section. 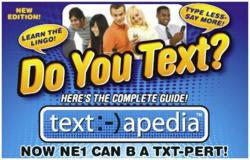 Textapedia pocket guide translating texting shorthand (acronyms) made easy. 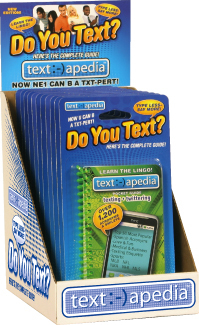 The Textapedia texting pocket guide comes in four new exiting colors Pink, Blue, Tie-Dye & Green. Custom covers for wireless carriers such as at&t, T-Mobile, Cricket, US Cellular, colleges and businesses as well as fundraisers are available upon request. Special seasonal display theme cards are available for in store merchandising. Young adults, parents and grandparents all want to learn the lingo. Retailers place your orders now, go to our B2B section for more information. Place orders by 3pm and we guarantee shipping same day.